Developed by designer Jack Watts in 2018, A-ten is a new place to work. Home to cutlers, mills and mesters workshops, Neepsend was once the heart of Sheffield’s booming steel industry. In recent decades as these businesses closed down and moved away, the large, cavernous spaces they once occupied have become hostages to time and decay. By 2016, the year Jack Watts entered the third year of his Masters in Architecture at Sheffield Hallam University, a number of small businesses, start ups and hipster cafes had started to breath new life into the neighbouring Kelham Island. But Neepsend still lay dormant, with only a few small offices and workshops still operating. It was while working in one of these tiny offices as [what was his job? ], that Jack was assigned his final year project: exploring urban regeneration in Werkspoor in Utrecht, Holland. After visiting Werkspoor and witnessing the regeneration it had undergone for himself, he realised there was a potential to do something similar - better, even - back home. Jack wrote to his tutors pleading that the project be relocated and re-focused around Neepsend. Thankfully, they agreed. Over the course of the project, Jack developed a unique understanding of Neepsend’s past, people and needs. This informed the plan he put together for realising its regeneration. 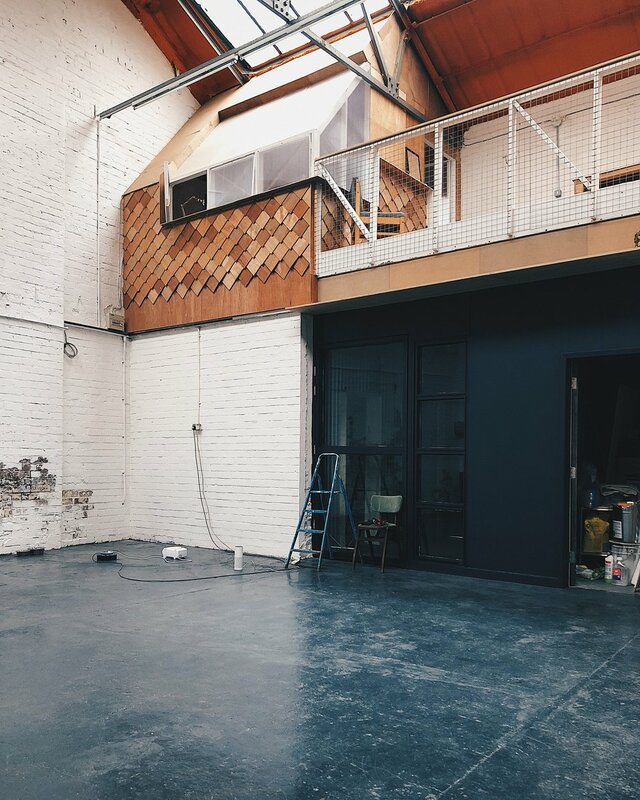 ‘I see this as a beautiful, unique space where people who are passionate and good at what they do can meet other like-minded people and, quite simply, do good work’ states Jack. Jack new that this warehouse - old, cavernous, and unusable as it was - was perfect place to help his realise his vision. He signed a contract with the landlord and set to work. Need something here about how he did it - just a couple of features - what did he do first? Is there a fun anecdote or any set backs? In November 2018, after nearly twelve months of hard graft, Jack launched A-Ten - a shared work space comprising three private offices, three designated desks and twelve flexible co-working spaces. While this is no traditional workspace, Jack’s ensured all the office essentials are taken care of: a fully kitted out kitchen/ tea-station, sound-proof meeting room (complete with ‘on/off air’ light), and (obviously) superfast 300Mbps fibre optic broadband. And the non-traditional stuff? Those working at A-Ten get to enjoy subscription to specially curated selection of high-end magazines, use of a working clocking in and out machine and, when it opens just in time for spring 2019, access to a spacious roof terrace with views of the city. A-ten is an honest environment where good people come to do good work and is now accepting its first members. Rather than surrendering the area to traditional, corporate development, he proposed re-energising Neepsend through a series of small scale interventions that would reactivate dormant spaces and encourage new people and businesses back into them. Naming the project Collective Independence, his idea was to create a shared space for a new generation of independent businesses and freelancers, all the while remaining sympathetic to the area’s rich heritage which, he felt, needed to be prevented from being lost to gentrification. Though the project received a host of university awards along with a RIBA President’s Medal nomination (and ultimately landed Jack an associate director position at a local architecture firm) Collective Independence was as yet a collection of drawings and ideas on paper. But Jack couldn’t shake the desire to follow through with his vision. A chance meeting led him to Harvest Works, a series of run down industrial units centered around an open courtyard. ‘I knew as soon as I stepped onto the concrete floor and looked up at the sunlight streaming through the skylights onto this huge, orange air vent, that this place was special, and that I could do something special with it.’ recalls Jack.